5-color fruit and vegetable smoothies, freshly made every morning. Suitable for beginners or when your body needs more nutrients than usual (working hard, seriously ill). Perfect gift for patients and the elderly. Best food offer for monks. *Including cost of 1 mason jar which will be given on the last day. In case of course renewal, you can resell the jar to us. 5-color fruit and vegetable smoothies, freshly made every morning. 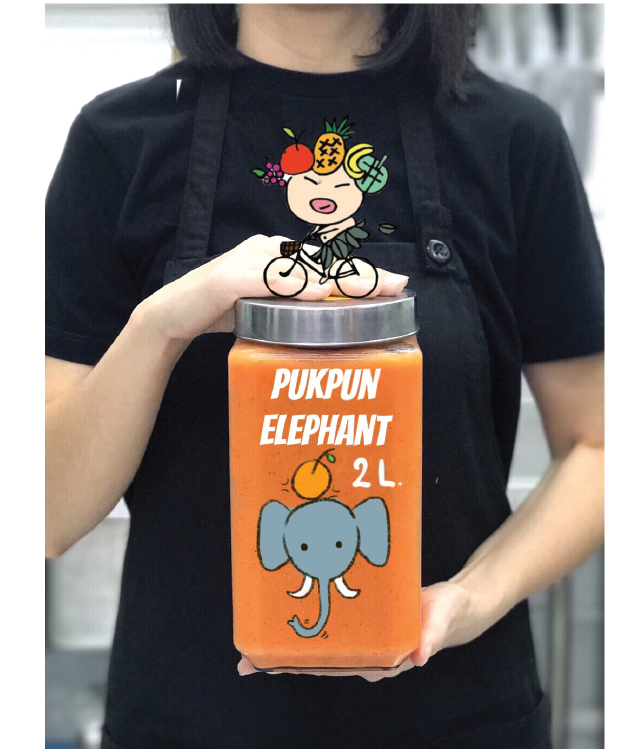 2-liter jar fully filled with good health! 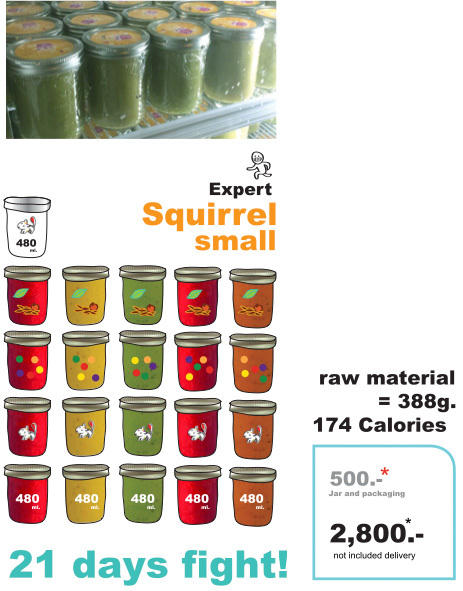 1 jar can serve 8-10 people. Best drink choice for meeting, seminar or workshop! Drink as breakfast helps reboot your brain, refresh your body. Good as meal replacement thanks to its high nutritional value. Flavor : sweet and sour, easy to drink. Suitable for beginners or vegetable haters. *Included cost of 2 Mason jars. 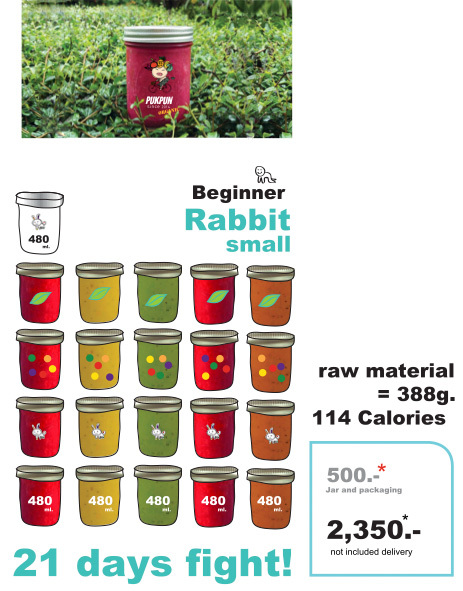 At the end of a course, jars will be given to you. 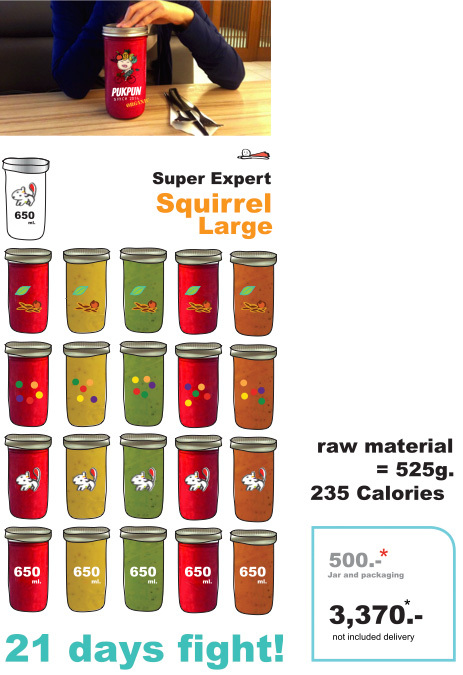 Suitable for those who can eat fruits and vegetables and need the right daily amount for each day. Flavor : sweet and sour, a little bit crunchy and dense. 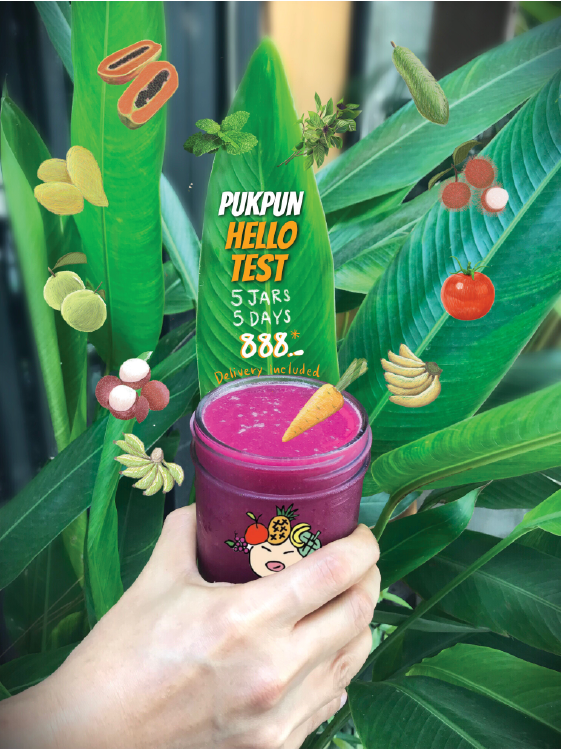 Suitable for those who would like an intensive program to get nutrients from cereals which cannot be found or are hard to find in fruits and vegetables. For example, nutrients from almonds, flaxseeds, grains, lentils etc. If you need to remove toxins from your body, we can help you with this 5-Day detox program. 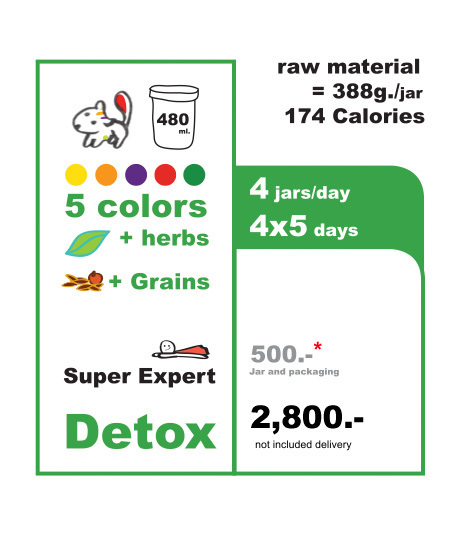 You can replace 3 meals by drinking 4 jars of our 480ml-detox juice per day. If you feel hungry, you can eat salad with vinaigrette dressing, brown rice, green apples or bananas. Make your mind bright, clear and cheerful. Wake up early to enjoy golden morning sunlight during 6:00 – 8:00 about 15-20 minutes. Let your head and hands touch the sunlight. You will get vitamin D and hormones will be balanced. Go to bed before 22 :00 to allow your body to build and repair damaged cells and tissues. *Included cost of 4 Mason jars. 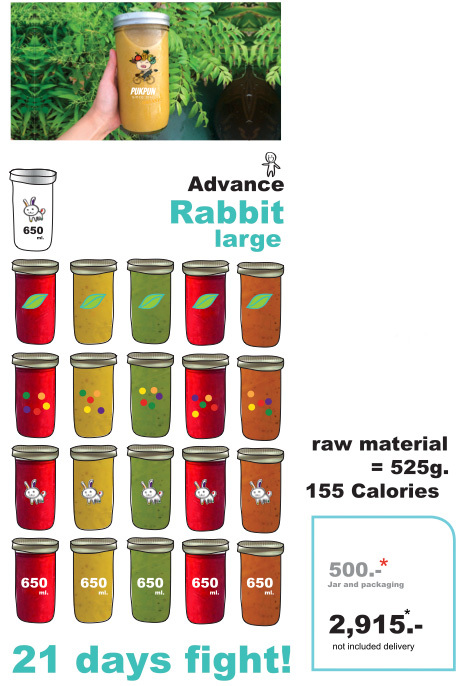 At the end of a course, jars will be given to you.